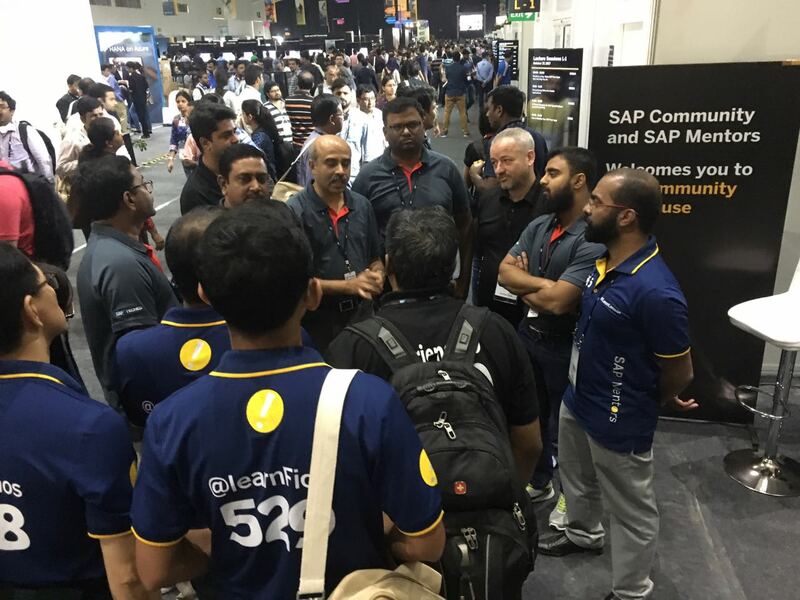 Behind the scenes of SAP TechEd – the perseverant SAP IT team! Let’s imagine we’re seated at the TechEd venue excitedly listening to the keynote when suddenly the slides being shown goes blank or the speakers at the venue stop working! How would this experience be? Who keeps this going and keep watching the seamless experience of TechEd attendees? This job is zero fault tolerance where nothing should go wrong. 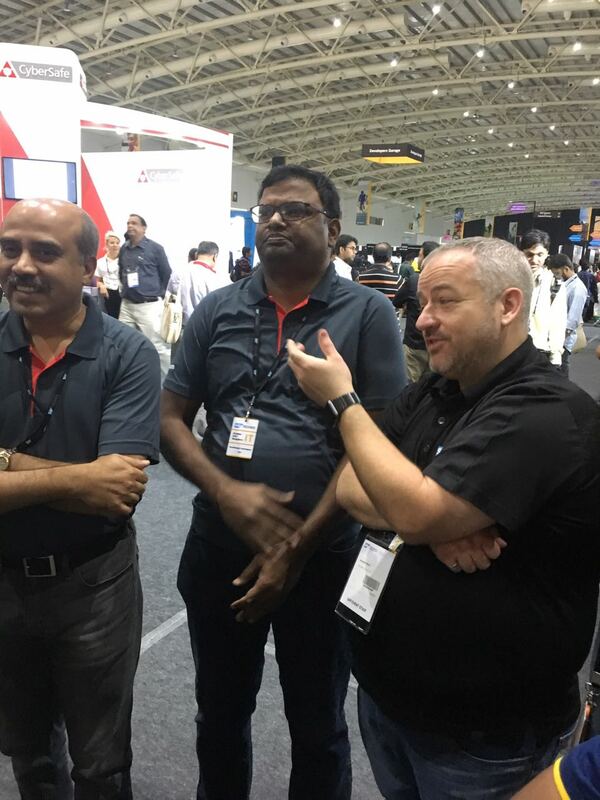 SAP Mentors at Bangalore TechEd had the unique opportunity to meet the “SAP IT Team” which is behind the impeccable experience of TechEd. The team was kind enough to give us a glimpse of their activities pre and post TechEd. Well, the journey seemed no less than a “Startup”. The event management does not only need rigorous planning, and execution skills but also convincing and negotiation skills. As rightly quoted by Craig Cmehil (who lead this tour) that the “IT team” has the right attitude else they would not be able to do what they do! 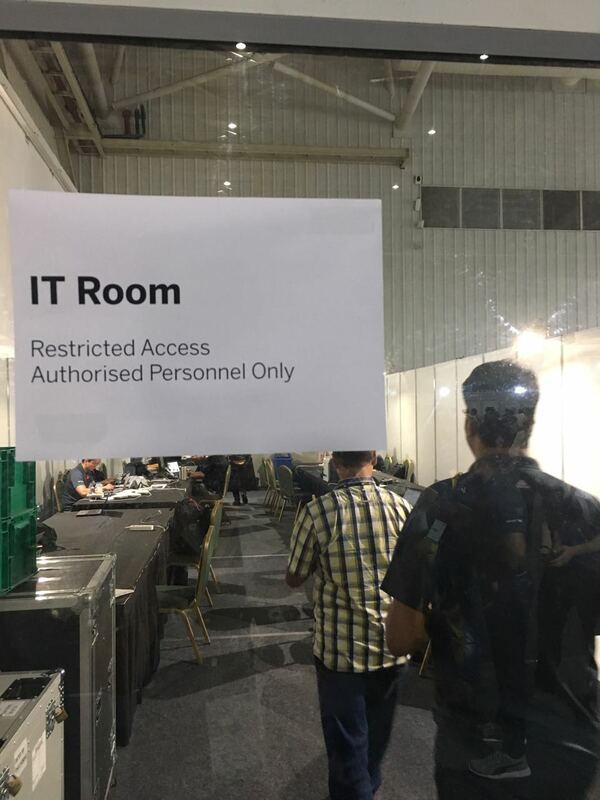 As an attendee, we’re more interested in getting free Wi-Fi but it’s the IT team who is on constant vigilance behind the veil to keep the connection secure and safe. 120 Xirrus arrays were deployed for attendee’s Wi-Fi access. One would be excited to know that 1GB of internet bandwidth is provided. The team starts the planning pretty early. After all, it takes 760 man day’s effort for the entire set up. 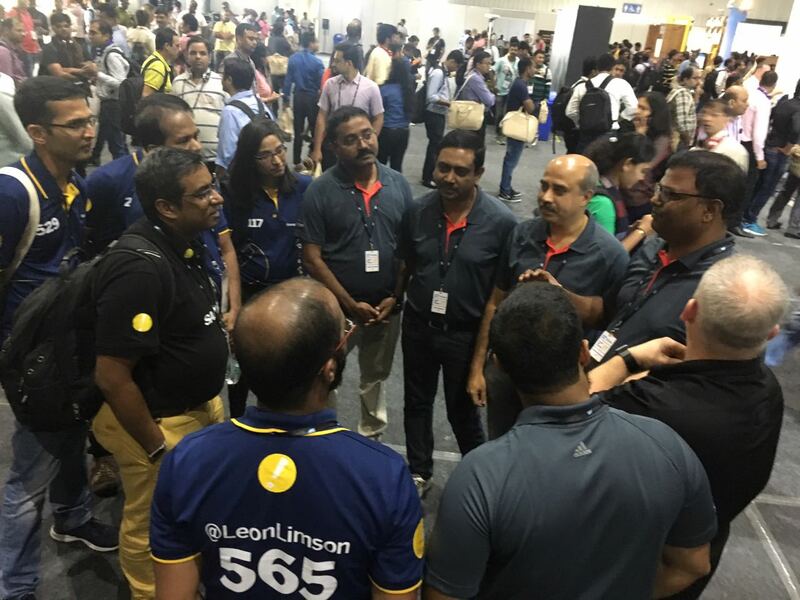 The team proudly shared with us that such a grand scale event is not organized by another company except SAP in Bangalore. 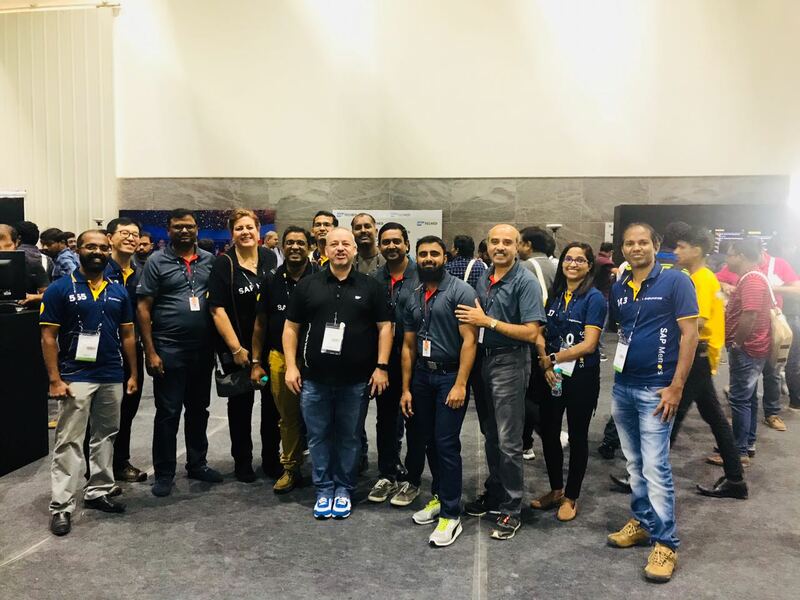 They shared with us how they had started in the initial years of TechEd with limited resources in terms of connectivity and still did a commendable job. Most of the team members said that they learnt new things every year and improve the next year. It was the first time I saw the venue from a different perspective. Keeping ready the laptops, screens for the sessions and arrangement of so many of such devices is not at all a small job. Planning of allotment of spaces for booths, workshops, hands-on-sessions and then making sure that the attendees have a clear vision of everything requires quite a bit of planning. 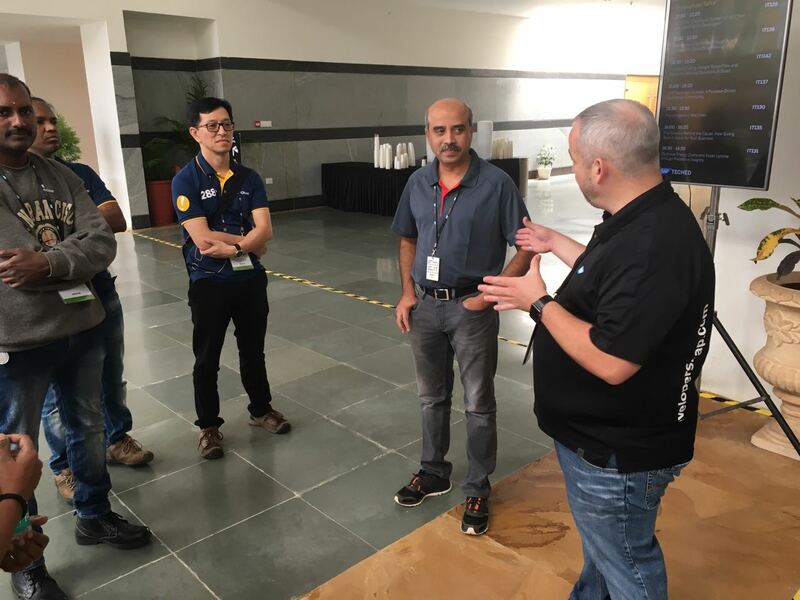 SAP IT team starts it from scratch for deploying 1000+ laptops at the venue. Craig acclaimed that event management team comes to Bangalore early to see that the arrangement goes on well before the actual event. He said that he sees the venue right from the time when there are wires all around and no carpets and is pretty proud of the team who works day and night to get the venue ready for us. IT team has to be foresighted to keep arrangements ready for last-moment change requests. The team excitedly said that it’s the Keynote day of TechEd which is the hardest one for them and keeps them on their toes. Well, I definitely think that the job of the IT team is one of the most important activity and they deserve a big Kudos from the Community for what they do so meticulously! 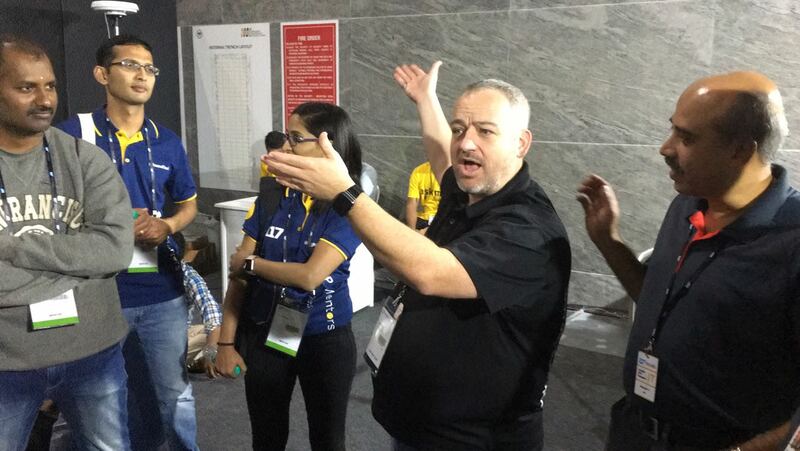 One couldn’t be more excited to know that TechEd Barcelona will have this guided tour with SAP IT team who would be accompanied by the amazing SAP Mentors team there as well! Previous Why Is It Important to Distinguish Between Project Portfolio Management and PM?